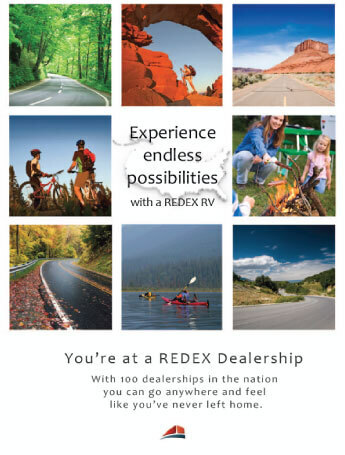 There are over 2,700 RV dealerships in the United States to buy your RV from, but only the best 100 dealerships are members of REDEX - America’s Largest RV Dealer Network. Why is this important to the RV consumer? As a group, REDEX dealerships purchase all items, from inventory and financing to parts and accessories, at significantly reduced prices. Dealerships can then pass the savings on to you - the RV consumer. Since our dealers account for more than 1.5+ billion dollars in total RV sales annually (almost 20% of the entire RV industry), we’re like mass merchant department or warehouse stores - we buy more items at bigger discounts. As a member of REDEX (Recreational Dealers Exchange Company), Byerly RV subscribes to the following principles and standards. Implicit in this code is the requirement that members comply fully with all federal, state and local laws governing their business. Operate our business in accord with the highest standards of ethical conduct. Treat each customer in a fair, open, and honest manner, and fully comply with all laws that prohibit discrimination. Meet the recreation needs of our customers in a knowledgeable and professional manner. Represent our products clearly and factually, standing fully behind our warranties, direct and implied, and in all other ways justifying the customer’s respect and confidence. Detail charges to assist our customers in understanding repair work and provide written estimates of any service work to be performed, upon request, or as required by law.